I’m in the throes of deciding about the replacement windows and doors. After the total replacement of the slab in the main part of the house, this is the most expensive single energy efficiency upgrade. Our current windows are all wood and double pane, the large picture windows do not have frames but are just the glass panels installed with spray foam borders. Since this house was built to be energy efficient, the windows are very well sealed with foam. But the picture window seams have deteriorated so that the seal is cracked and they form precipitation inside and one pair in the family room had interior film which has cracked severely. 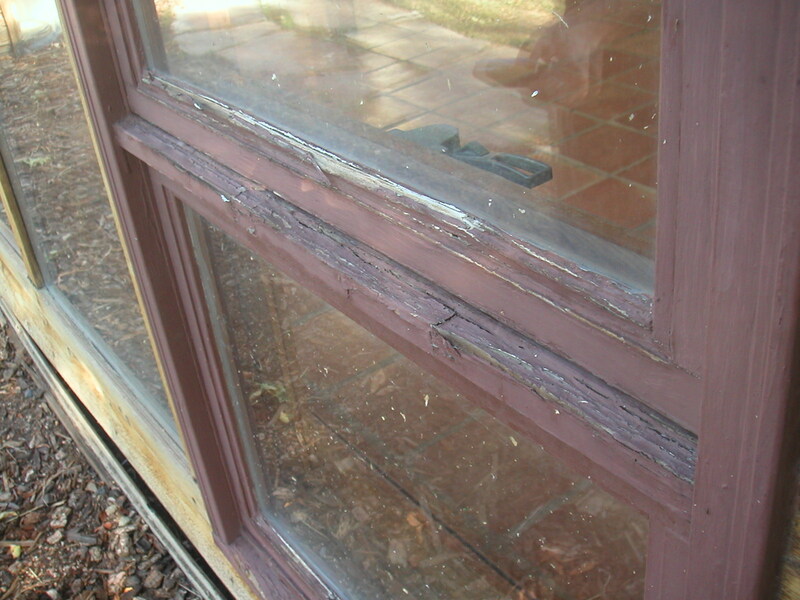 The windows are deteriorated on the outside due to neglect too. They are cracked and peeling paint and some of the glazing trim is missing. 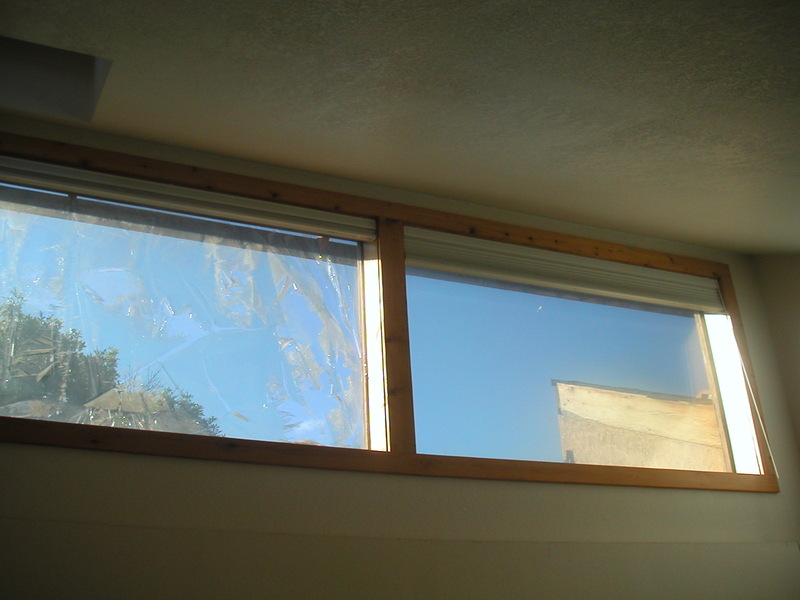 I had a couple of window specialists come out to estimate the cost of repair and replacement of the glass and the estimates for glass replacement were in the $10,000 range. So the easiest repair is to just replace them. The doors are just old and need to be replaced because their functions are changing and we might as well get better energy efficiency in new doors as well as the windows. LEED has two paths for energy rating the house. One is prescriptive where each type of energy efficient component is scored separately and a large number of points are given for solar panels that offset electrical usage. The other is performance based where fewer points are awarded for individual choices of energy saving components but the prerequisite is based on the Energy Star Thermal Bypass checklist and points are awarded according to the HERS rating. Of course all the individual choices are then transferred to the checklist and to the mysterious HERS formula, but the overall rating (performance) earns the points instead of each choice. 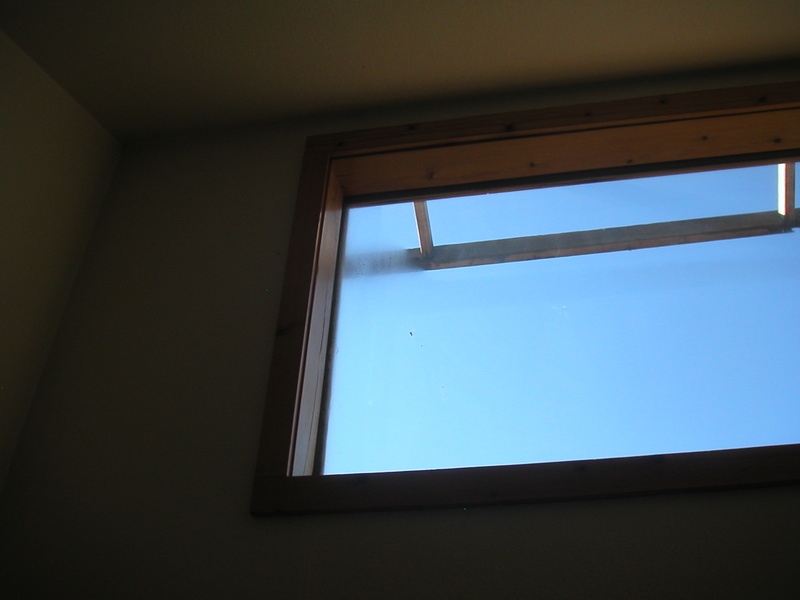 There is an additional LEED point for buying locally manufactured products, so one of our first choices is Alpen windows. They are both highly energy efficient and manufactured in Longmont, CO. which is very close to us. But the price tag is a bit overwhelming and we are limited to the glass they offer in their windows and doors. My biggest concern is the solar heat gain coefficient, or the fraction of available solar heat that the windows pass for heating our passive solar home. Single pane clear glass is close to 100%, most low-e coatings that improve u values reduce that considerably. Most big box doors and windows have SHGC of less than .3 which means that less than a third of the available solar heat passes through the glass due to the low-e coatings. Alpen offers a higher rating of .41 as a glass option. Although that is still below 50%, it is one of the higher SHGC ratings that also have low u values. I’ll explain more about the Alpen windows in another post. But for now, we are getting quotes to replace all our windows and doors and Alpen seems to be the best bang for the buck. This entry was posted in Construction, Energy Efficiency, Local Products, Planning. Bookmark the permalink.